The Buros Center for Testing in collaboration with Edu cational Testing Service (ETS) is hosting the 12th annual Buros/ETS lectures on Monday, October 29 at 2:15 p.m. The event is free and open to the public and will be held in Teachers College Hall, room 112, followed immediately by a reception in the Buros Library. Dr. Weeks will provide a foundation for understanding multidimensional test score linking and various issues that should be considered in this process, including value-added sub-scores, the number of common items, the linking design, and the choice of linking method. These issues will be discussed in the context of an empirical measure of foundational reading skills and the development of a multidimensional vertical scale. 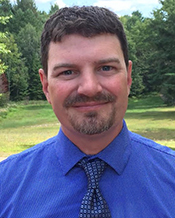 Jonathan Weeks is Associate Research Scientist of Global Assessment at Educational Testing Service (ETS). His work focuses on multiple forms of test linking, equating, and scaling. Dr. Weeks has been awarded several major grants, forging the way as lead psychometrician on an especially large project with the Institute of Education Sciences, Reading and Writing. He is the creator of a popular R package (plink) for linking mixed-format tests using IRT-based methods. Dr. Kurt F. Geisinger, director of the Buros Center for Testing and professor in the Department of Educational Psychology, will serve in multiple leadership positions this year both nationally and internationally, in the field of educational assessment and evaluation. Geisinger will serve on the Appeals Council for the Council for the Accreditation of Educator Preparation (CAEP). CAEP was formed approximately eight years ago when two teacher education accrediting bodies combined. Geisinger was on the commission that brought them both together. Dr. Geisinger will also serve on the inaugural editorial board for the African Journal of Psychological Assessment (AJOPA). The request stems from a lecture on testing he presented in September 2017 at the first ever Pan African Council on Psychology. 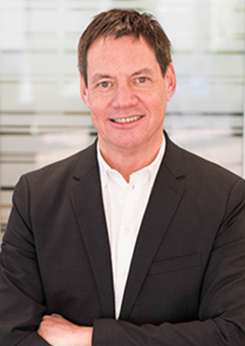 President of Division 2: Psychological Assessment and Evaluation of the International Association of Applied Psychology (IAAP), Geisinger will serve on the board of directors and chair the governance committee for the association. Founded in 1920, IAAP is the oldest international association of psychologists and has more than 1,500 members from more than 80 countries. Geisinger is also president-elect of Division 5: Quantitative and Qualitative Methods of the American Psychological Association (APA) and will begin as president in 2019. The division promotes high standards in both research and practical applications of program evaluation, measurement, statistics, assessment and qualitative methods. 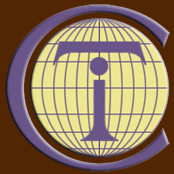 He recently began a two-year term as president of the International Test Commission (ITC), an association of national psychological associations, test commissions, organizations, and individuals, that promotes “the proper development, evaluation, and uses” of educational and psychological tests. Starting in March 2018, Buros launched a six-part webinar series featuring scholars from educational measurement, school psychology, and clinical/counseling psychology who participated in the AERA fairness meeting. These speakers discuss some of the challenges in the educational and psychological assessment of individuals of varying cultural backgrounds, those with disabilities, and English language learners (ELLs). They also discuss how to select appropriate accommodations for educational tests, and what test users should expect from test developers when selecting assessments for potentially impacted individuals. 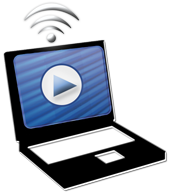 Continuing education credit (APA CE/NASP CPD credit) is available with each webinar. The series will conclude fall 2018. http://buros.org/fairness-testing-webinar-seriesss. In September 2017, the Buros Center for Testing received a grant from the Spencer Foundation to gather a group of scholars and researchers from diverse professional fields. Attendees will develop psychometric guidelines for social-emotional assessments in K-12 education based on the 2014 Standards for Educational and Psychological Testing. The meeting will be held in the Fall of 2018. 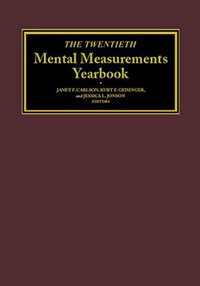 The Twentieth Mental Measurements Yearbook (MMY) was published in July 2017. The MMY series is the cornerstone of the Buros Center's publishing activities. The 20th MMY includes timely, consumer-oriented reviews for 193 tests. The reference gives evaluative information to promote and encourage informed test selection. Typical MMY test entries include descriptive information, two professional reviews, and reviewer references. Volumes in the MMY series are produced approximately every three years. For more information or to purchase MMY visit the University of Nebraska Press. 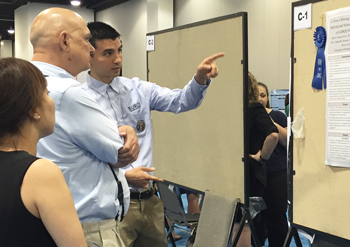 Buros Center graduate assistants Allen G. Garcia and Weldon Zane Smith, along with co-authors Dr. Susan M. Swearer, UNL Educational Psychology professor, and graduate student Zachary R. Myers presented an award-winning poster at the 2016 APA conference in Denver. The poster, Is There a Missing Link Between Bullying and School Engagement in LGBQQ Students?, was one of APA Division 16’s Student Blue Ribbon Walk winners. The poster’s authors examined data from more than 600 U.S. and international students in Grades 6-12 who identify as lesbian, gay, bisexual, queer, and questioning. The study found that perceived social support was the most important predictor for LGBQQ students’ school engagement and that school-based practitioners should promote social support as a way to reduce the effects victimization may have on students’ school engagement. Buros Center graduate assistant Sara E. Gonzalez was recognized as one of five American Academy of School Psychology (AASP) scholarship winners at the 2016 APA conference. Scholarships were awarded to deserving doctoral students in school psychology in memory of leaders in the field who have contributed significantly to the association. The Memorial Fellows Fund Scholarship was originally referred to as the Hyman-Lambert Scholarship. The award recognizes the preeminent school psychology diplomates, Dr. Irwin Hyman and Dr. Nadine Lambert, who contributed significantly to AASP. Publishing companies that donated the funds to make the scholarships possible were Houghton Mifflin Harcourt, MHS Assessments, PAR, Taylor & Francis, and Western Psychological Association in memory of Dr. Thomas Oakland. The Buros Center for Testing, in collaboration with Educational Testing Service, is hosting the 10th annual Buros/ETS lecture on Monday, September 12, 2016 at 2:15 p.m. The event is free and open to the public and will be held in Teachers College Hall, room 112, followed immediately by a reception in the Buros Library. The annual lecture series brings a distinguished research scientist from Educational Testing Service to UNL to speak on current assessment and testing issues. This year, Dr. Patrick Kyllonen will give a presentation titled "Advances and Challenges in Assessing Social, Emotional, and Self-Management Skills.” Dr. Kyllonen will make the case for measuring character skills, then review limitations to current rating-scale assessment, particularly reference group effects, response style bias, and limitations in comparability across nations, schools, and demographic subgroups. Dr. Kyllonen will suggest a variety of solutions including forced-choice measurement, anchoring vignettes, situational judgment testing, and performance tasks, and further discuss measurement models for these assessments. He will conclude with a discussion of prospects and priorities for moving the science of character assessment forward. Patrick Kyllonen is Senior Research Director of the Center for Academic and Workforce Readiness and Success at Educational Testing Service (ETS). His work focuses on non-cognitive assessment in K-12 and higher education, workforce readiness assessment, and international large scale assessment. He is the author of several books and National Academy of Sciences reports on these topics, is a fellow of APA and AERA, and was instrumental in the development of the Trait-Self Description (TSD) Personality Inventory. I joined the Quantitative, Qualitative, and Psychometric Methods PhD program in the Department of Educational Psychology in 2011. I mostly conducted empirical and simulation studies about test fairness, test validity, propensity scores, and multilevel modeling based on topics introduced to me by Drs. Geisinger, De Ayala, and Bovaird. I feel my dissertation really integrated aspects of each course I took with them. How long had you been a GA for Buros and what did your duties include? I have been a GA for five and a half years. My duties started with the work at the Psychometric Consulting unit where I worked on an auditing project for an international large-scale assessment. Then, I worked on The Nineteenth Mental Measurements Yearbook and Tests in Print IX in the Test Reviews and Information unit. I moved back to the Psychometric Consulting unit for audit projects for large-scale statewide assessments. What was most memorable for you during your time with Buros? I enjoyed reading different test manuals for the Mental Measurements Yearbooks. While working on the MMY, I could really apply what I learned from my courses to real test development. Also, audit projects that I worked for were quite fun for the same reason but also because I could have opportunities to work with a variety of clients. In addition I have great memories spending time with everyone at Buros Christmas parties, ETS lectures and (especially) dinners, and even at the Buros conference booths. Buros will really stick in my memory due to all the clothes with its logo that I got as Christmas gifts. I will continue to conduct research on test fairness, test validity, and statistical methods. I hope my research can contribute to inform applied researchers of appropriate methods for their substantive research and provide improved practices in psychological and educational testing. Buros Center staff will travel to the National Association of School Psychologists (NASP) and the American Educational Research Association (AERA)/National Council on Measurement in Education (NCME) annual conferences this spring. NASP will convene in New Orleans February 10-13 and AERA/NCME in Washington, DC April 7-12. NASP. Dr. Janet Carlson, Associate Director, will present a poster session at the 2016 annual convention of the National Association of School Psychologists. The presentation is entitled “Testing and Homeschooling: 50 Shades of Gray.” It will report state-by-state data about testing requirements in homeschool settings and articulate specific recommendations to help school psychologists develop effective strategies to better serve homeschooling parents. The session is scheduled for Wednesday February 10 from 10:30 a.m. – 12:00 p.m. in the New Orleans Marriott. The Buros Center will also have an exhibitor's booth (#701) at NASP. Please stop by, say hello, and enjoy our giveaways. Lee, H., & Geisinger, K. F. (2016, April). Propensity score estimation models: Use of complementary log-log link function. Paper will be presented at the annual meeting of American Educational Research Association, Washington, DC. Lee, H., Roohr, K., & Liu, O. L. (2016, April). Small sample equating for different uses of test scores in higher education. Paper will be presented at the annual meeting of National Council on Measurement in Education, Washington, DC. Roohr, K., Lee, H., Xu, J., & Liu, O. L. (2016, April). Analysis of a next-generation quantitative literacy assessment: Results from a pilot test. In K. Roohr (Chair), Developing and evaluating the psychometric quality of next-generation student learning outcomes assessments. Symposium will be conducted at the annual meeting of American Educational Research Association, Washington, DC. Additionally, Dr. Kurt Geisinger is making some presentations at both the NCME and AERA conferences and he serves as the Chair of Division D's International Committee. He will also be leading a meeting of the editorial board for our journal, Applied Measurement in Education. The Buros Center will have an exhibitor's booth at AERA as well. The Buros Center for Testing in collaboration with Educational Testing Service is hosting the ninth installment of the annual Buros/ETS lecture series on Tuesday, September 1, 2015 at 2:00 p.m. in room 112 of Teachers College Hall on UNL's city campus. The event is free and open to the public and will be followed immediately by a reception in the Buros Library. The lecture series takes place once a year and brings a senior research scientist from Educational Testing Service to the UNL campus to speak on current assessment and testing issues. This year, Dr. Rebecca Zwick will be coming to Lincoln to give a presentation titled "Crafting A College Class: An Exploration of Methods Based on Test Scores, Grades, Noncognitive Factors, Affirmative Action, and More.” Dr. Zwick will discuss her research on college admissions processes, including what methods are best for selecting a diverse and academically well-prepared entering class. Rebecca Zwick, PhD, is a Distinguished Presidential Appointee in the Statistical Analysis, Data Analysis, and Psychometric Research area at Educational Testing Service. Currently, she is conducting research on differential item functioning and working on a book on college admissions, to be published by Harvard University Press. Zwick is the author of more than 100 publications in educational measurement and statistics and education policy. The Buros Center for Testing is hosting a lecture by Dr. Barbara Plake on Thursday, April 9, 2015 from 1:30 – 2:45 p.m. The event is free and open to the public and will be held in Teachers College Hall, room 150. Plake’s lecture, titled “Assessment…with a Touch of Class,” focuses on how the fundamental concepts of testing quality apply to classroom assessment practices. It focuses on ensuring the classroom assessments reach an appropriate level of technical quality so that classroom assessment results can support teaching and learning. It stresses that effective classroom assessment practices require cooperation between teachers and education leaders and necessarily involve students. 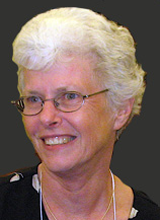 Barbara Plake is director emeritus of the Buros Center for Testing, having served from 1988-2006. She retired from UNL in 2006 and now serves as an independent consultant for many organizations, states, and federal programs. Set to kick off in January 2015, the webinar series is designed to promote the value of assessment by framing it as a significant component of practice that enriches the professional decision-making processes. The series will focus on the myriad of ways in which clinical assessment contributes to evidence-based mental health interventions. Topics and presenters in the series include Evidence-Based Treatment (Dr. John Hunsley), Outcomes Measurement / Progress Monitoring (Dr. Bruce L. Bobbitt), Ethics of Clinical Assessment (Dr. Elizabeth Swenson), and Forensic Assessment (Dr. Kirk Heilbrun). Click here to register for a webinar. IPSWICH, Mass. — October 9, 2014 — A comprehensive guide to contemporary testing instruments in both Spanish and English is now available from EBSCO Information Services. Mental Measurements Yearbook with Tests in Print Internacional™ contains information essential for a complete evaluation of test products within diverse areas. Comprising three databases produced by the Buros Center for Testing at the University of Nebraska, Mental Measurements Yearbook with Tests in Print Internacional combines indispensable, consumer-oriented test reviews and references for both novices and professionals together in one resource. It includes content from Mental Measurements Yearbook (MMY) and Tests in Print (TIP) as well as content previously available only in Pruebas Publicadas en Español (PPE). The eighth annual Buros/Educational Testing Service lecture will be held Friday, September 5, 9:30 to 11:00 a.m. in Room 250, Teachers College Hall on the University of Nebraska-Lincoln campus, followed by a reception and discussion in the Buros Library. Dr. Randy Bennett will speak on Validity and Automated Essay Scoring: How Validation Can Go Wrong. The Hewlett Foundation's Automated Student Assessment Prize competition found that machines were able to grade essays as well as, perhaps better than, human raters. This talk will offer seven assertions about validity and automated essay scoring, using the Automated Student Assessment Prize competition to illustrate how validation can go badly wrong. Dr. Bennett is Norman O. Fredericksen Chair in Assessment Innovation at Educational Testing Service in Princeton, New Jersey. 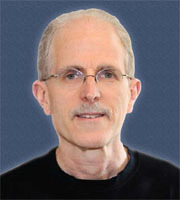 Since the 1980s, he has conducted research on integrating advances in the cognitive and learning sciences, technology, and measurement to create new approaches to assessment. The Buros Center for Testing will soon add another title to its list of publications. Pruebas Publicadas en Español will offer detailed descriptive information about tests that are commercially available in Spanish. This dual-language volume includes over 400 titles from 18 different testing categories, including vocational and personnel selection, speech and hearing, sensory-motor, developmental, achievement, cognitive, personality, behavior assessment, and others. 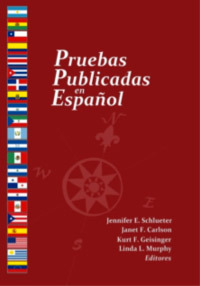 Providing test information in both Spanish and English from publishers in Spain, Argentina, and the United States, Pruebas Publicadas en Español will be a valuable resource for practitioners and researchers in education, psychology, industry, medicine, and health-related fields who speak either Spanish or English. Nancy Anderson was hired as the Managing Editor for the Buros Center for Testing, effective January 1, 2013, following a national search. Nancy’s stellar work as a Graduate Research Assistant for the Center since the summer of 2010 has been supervised by our outgoing Managing Editor, Linda Murphy. Nancy has already played a vital role in the publication of the Eighteenth Mental Measurements Yearbook and Tests in Print VIII. 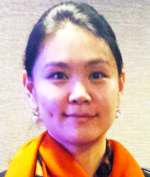 In addition, she has represented the Buros Center at professional conferences and has edited and proofread reports for the psychometric consulting unit. 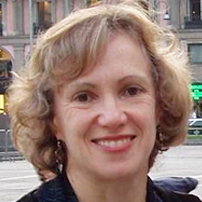 Prior to undertaking her graduate pursuits, Nancy honed her editorial skills as she worked her way up through the editorial ranks at Newsday, a major daily newspaper in the New York City metropolitan area, advancing from copy editor to layout editor to assistant national editor, and culminating in her selection as deputy metro editor. Nancy earned her Master’s degree from UNL in Teacher Learning and Teacher Education and then began her doctoral program in Quantitative, Qualitative, and Psychometric Methods where she has completed all but two of the courses required in her program of study. We welcome her to our staff and are looking forward to working with her for many years (or decades) to come! After three decades of extraordinary service, Linda L. Murphy is retiring from her position as Managing Editor at the Buros Center for Testing. 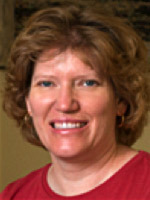 For nearly 30 years, Linda has been instrumental in a large number and wide variety of Buros Center publications, as she advanced from an entry-level position to a managerial one, while earning her Master’s degree, and completing all the courses required for her doctoral degree in Cognition, Learning, and Development. In all, she has worked on all ten of the Mental Measurements Yearbooks and all five of the Tests in Print volumes that have been published since the Buros Center moved to the University of Nebraska – Lincoln in 1978. She served as Managing Editor for nine of the ten yearbooks and an Editor for all five Tests in Print volumes. Linda also assisted in the publication of several other volumes, including the Buros Desk Reference series, Yearbook Supplements to the ninth through thirteenth yearbooks, and the Buros-Nebraska Series on Measurement and Testing. Her editorial skills are legion and matched – or possibly exceeded – only by her interpersonal skills. Linda has been the voice of reason, caring, and calm insistence in countless phone and face-to-face conversations and email communications with test publishers, test reviewers, graduate assistants, student workers, and colleagues. In addition to her editorial responsibilities, she has represented the Center at professional conferences, served on numerous search committees, proofread drafts of myriad documents, and offered many encouraging words to those who needed them. Linda is looking forward to having more time to spend with her children and grandchildren. We wish her the very best and extend to her our gratitude for the many years of outstanding service to the Buros Center for Testing and the University of Nebraska! Buros sponsors the Association of Test Publishers 2013 Innovations in Testing conference in Ft. Lauderdale, Florida (February 4th to 6th). The ATP annual conference is a premier event for professionals involved in testing and assessment. Dr. Patrick Irwin, Associate Director of Psychometric Consulting, will attend this conference and he looks forward to meeting our clients, colleagues, and friends in Florida. The Buros Center for Testing, in collaboration with Educational Testing Service, is hosting the seventh annual BUROS/ETS lecture on April 8, 2013, at 2:30 p.m. The event is free and open to the public and will be held in Teachers College Hall, room 139, followed by a reception and discussion in the Buros Library. The lecture series brings a senior research scientist from Educational Testing Service to the UNL campus to speak on current assessment and testing issues. This year, Dr. Robert Mislevy will give a presentation titled "Some Conceptions and Misconceptions about Evidence-Centered Assessment Design." Evidence-centered assessment design (ECD) is a framework for designing and modeling educational assessments that was introduced in a series of publications by Robert Mislevy, Linda Steinberg, and Russell Almond in the late 1990s. The first part of this talk gives an overview of ECD. It focuses on the concepts of assessment as evidentiary argument and layers in assessment. The second part addresses a number of common misconceptions that have developed concerning ECD. Buros is a sponsor of the 8th International Test Commission (ITC) conference. This conference will be held in Amsterdam, the Netherlands, between July 3rd and 5th. Many staff members from the Buros Center will travel to Amsterdam to participate and present at this conference. In addition to various paper and poster presentations, Dr. Geisinger will conduct a pre-conference workshop on test evaluation. The Buros Center for Testing will offer a workshop on "Reviewing and Selecting Tests and Assessments Based on Quality and Alignment," led by Drs. Kurt Geisinger, Janet Carlson, and Jessica Jonson, at the APA Annual Convention in Orlando, FL, on August 5. This intermediate workshop engages participants in considering, discussing, and applying how to determine if tests or assessments used for research or practice have sufficient psychometric quality and align with intended use. Enrollment is now open. Go here for details. 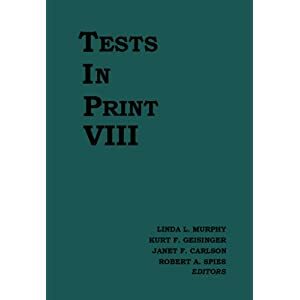 Tests in Print (TIP) serves as a comprehensive bibliography to all known commercially available tests that are currently in print in the English language. Now in its eighth edition, TIP provides vital information to users including test purpose, test publisher, in-print status, price, test acronym, intended test population, administration times, publication dates, and test authors. 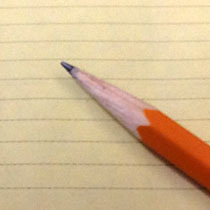 A score index permits users to identify what is being measured by each test. For more information or to purchase Tests in Print visit the University of Nebraska Press.